Have you ever been disappointed by replacement truck parts that don’t fit? Have you felt cheated in spending your money on something that breaks after a few months of use? Knowing what you’re getting from the money you’re spending when it comes to replacing auto parts will save you from the worries of overspending or investing in the wrong parts or services. Read below and be enlightened on things you should consider when the time comes to get replacement parts and services for your truck. Getting the replacement part from the manufacturer assures you that you are getting the right product for the price you are paying. You have a greater assurance of quality compared to getting it from third-party services. Performance will not be compromised because the vehicle came from the same manufacturer, and they are very well aware of the make and function of each part. You might be able to save money for the aftermarket parts initially, but if you have to make the SAME replacement again in say, 6 months, then that means no savings at all. Would you rather do that, or get a reliable part from the manufacturer which will last for the next two years or so? The choice is yours. In most cases, parts that are approved by the manufacturer will not invalidate the warranty of your vehicle. Some truck owners go for the cheap parts just to save money and provide a short-term solution to their vehicle problems. However, this may put you in a position where you need to put more money down the drain in the long run. Certain aftermarket parts invalidate your warranty which results in problems with your insurance company. The manufacturer knows the make and function of each part of your truck. After all, they built it :). They are responsible for the design and build of the part according to exact specifications. Other aftermarket products are made to be universally fit and will be modified to serve as many makes and models as possible. This poses a concern because you might need to add other parts (wire, adapter, pipe, etc.) just to accommodate these modifications. These modifications and added parts will just add more cost to your repair instead of savings. Aftermarket dealers have limited product stocks. You might need a couple of days to a week to get the specific part you want. With getting the product from the manufacturer, you do not need a lot of waiting. Since the parts are manufactured in the same place as the bodies, you are assured that they have an available part to meet your specifications. The factors above boil down to the primary concern a truck owner thinks of when there are parts to replace. At times like these, you think of the easiest and most cost-efficient way to get the services you need. 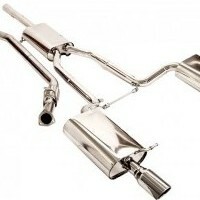 At first glance, aftermarket parts are the best way to go because the cost looks very affordable compared to others. However, you always have to bear in mind that the cost will vary depending on what your vehicle needs. The other factors follow this primary concern, and they will tell you how cost-efficient choosing a manufacturer product is than an aftermarket one. Maria Dublin provides guest blogging assistance to Reading Body. Reading sets the benchmark by which all other truck bodies are measured. Visit ReadingBody.com to find a replacement parts distributor that can reduce your downtime and get you back on the job.